I guess I am still catching up on landslides in the news. 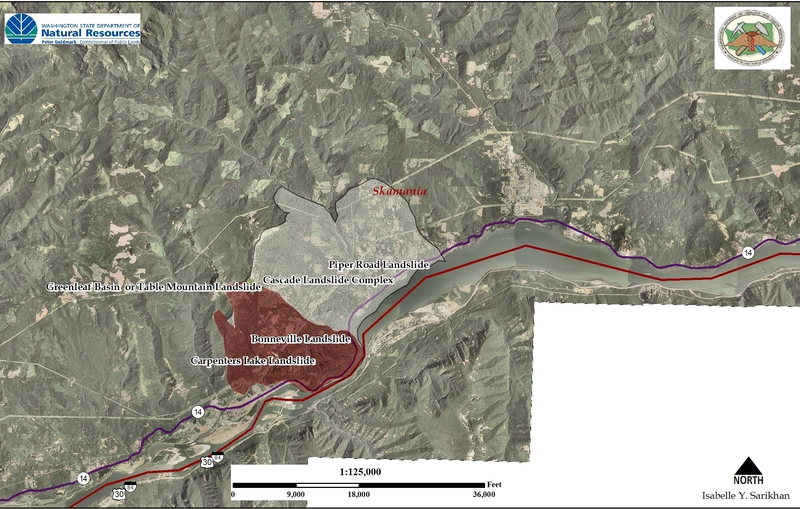 The Greenleaf Basin Landslides occurred sometime near or before January of 2008. 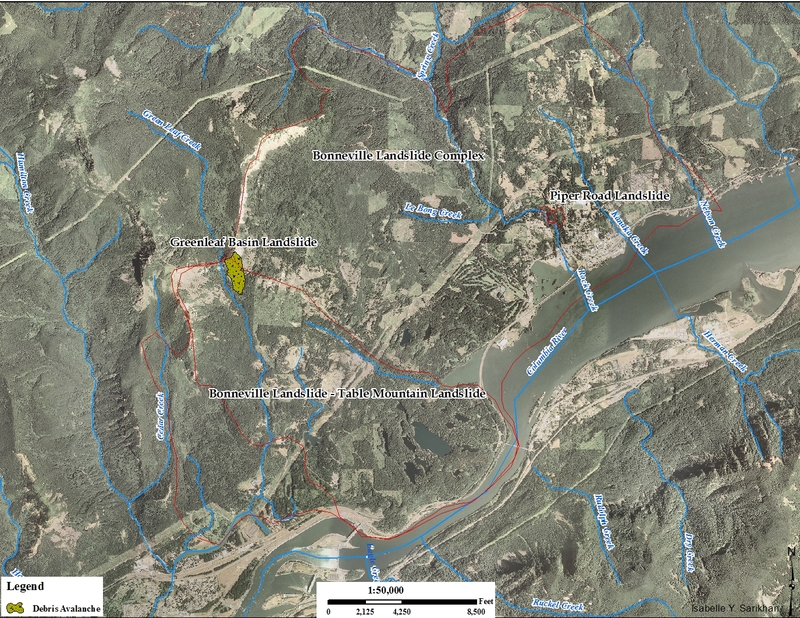 The landslide is within the scarp of the Bonneville Landslide (the famous Bonneville landslide that formed the Bridge of the Gods, coincidentally, and not to be confused from, the Bridge of the Gods, which connects Highway 14 to Highway 84 – Washington to Oregon). 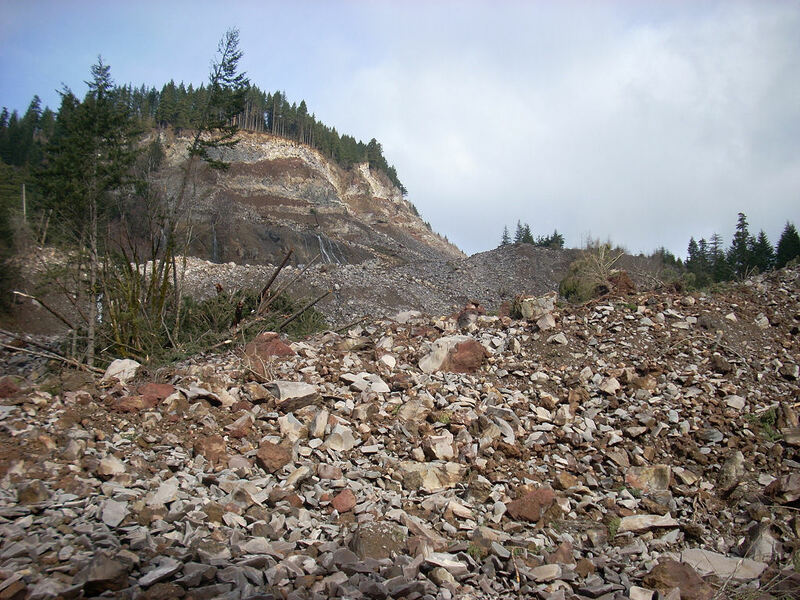 The Bonneville Landslide failed probably in conjunction with the 1700 Cascadia Earthquake. 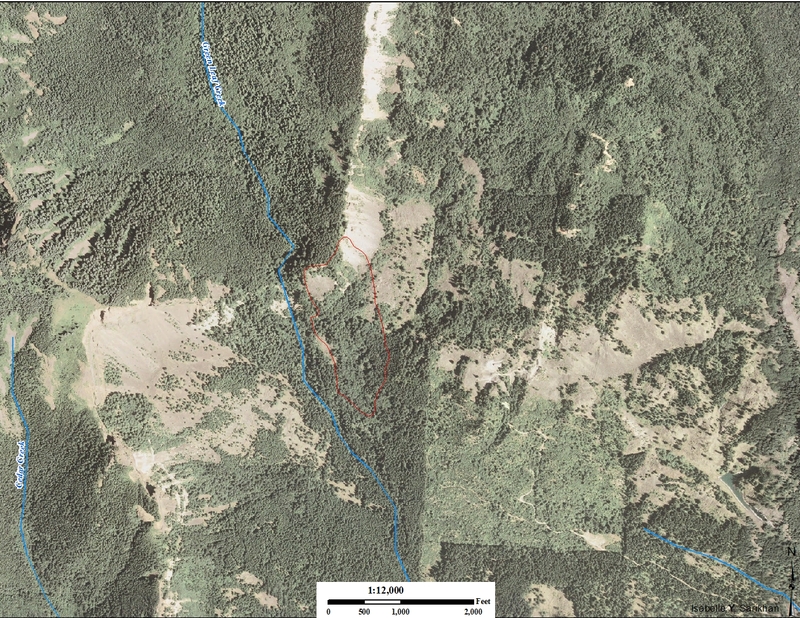 The above orthophoto is a 2006 photo of the area where the Greenleaf Basin Landslide occurred. 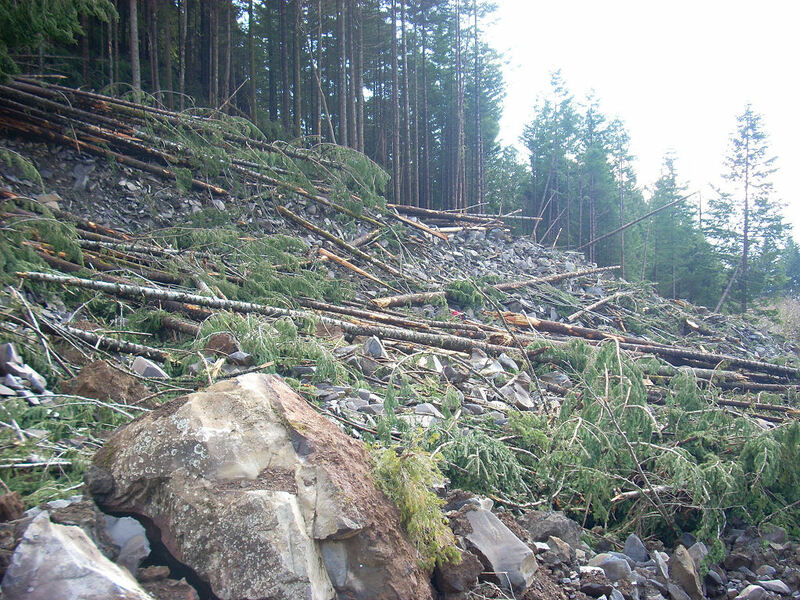 The landslide cut into the scarp and incorporated numerous mature trees (probably over 50 years old). A clue to why this area is unstable, look at those springs! 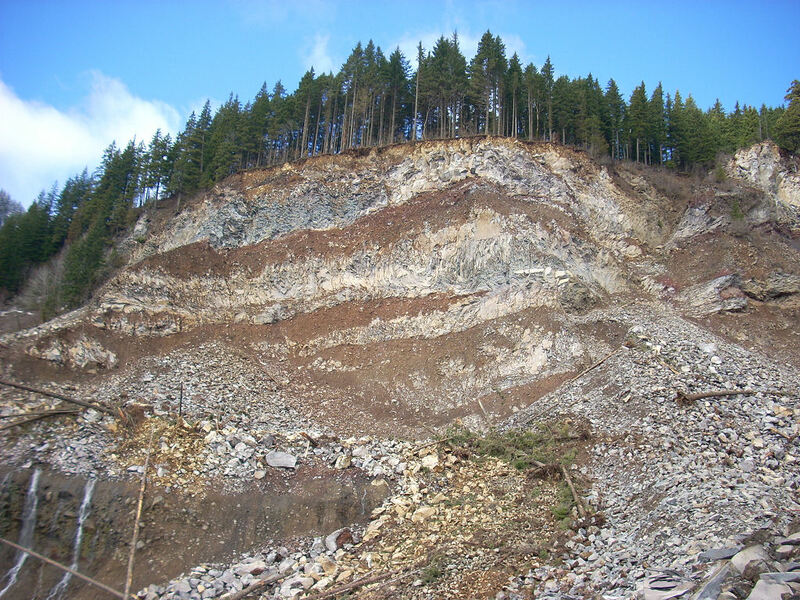 As you can tell in the pictures, the lithology of the landslide probably helped to create an unstable environment. 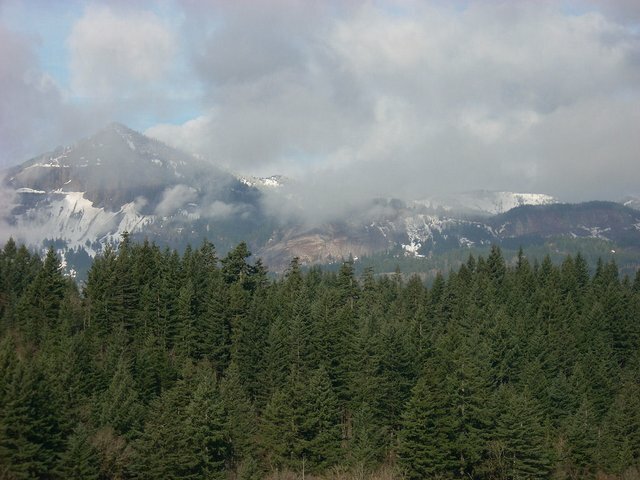 The top layer is probably a Quaternary basaltic andesite flow (referred to as the basaltic andesite of the Cascade Landslide) which is on the Eagles Formation (a Miocene continental conglomerate) The springs are probably representing a perched layer of water and in December of 2007, we had quite a bit of rain. The average rainfall for the Bonneville area is 12.72 inches (for the month of December). In 2007, the rainfall was 19.45 inches. The beds are gently dipping to the south (most of the photos are looking north and the dip isn’t very apparent in them). The increase in pore pressure along the contact probably help to pry away the upper rock and combined with the dip, the mass of rock lost what resistive forces it had to stay in place. An interesting side note. 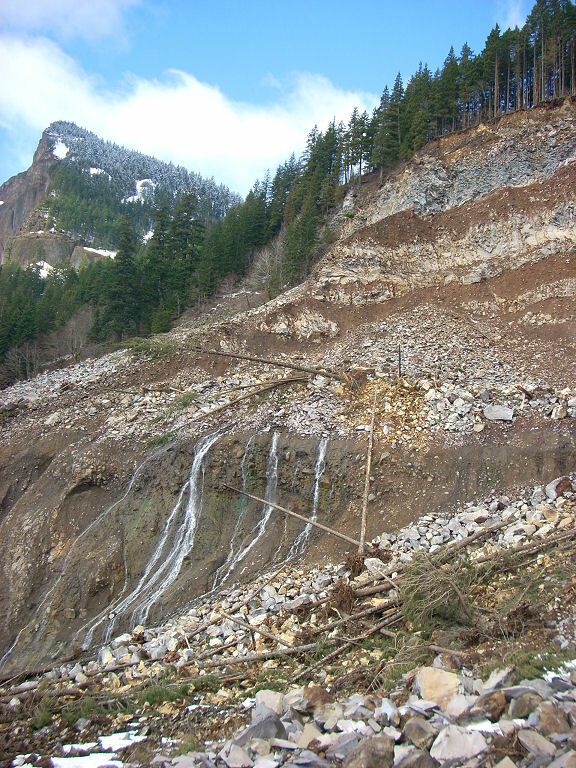 The layering of an incompetent over competent lithology, combined with a dipping bed, is probably a major component why the Bonneville Landslide Complex exists where it is. 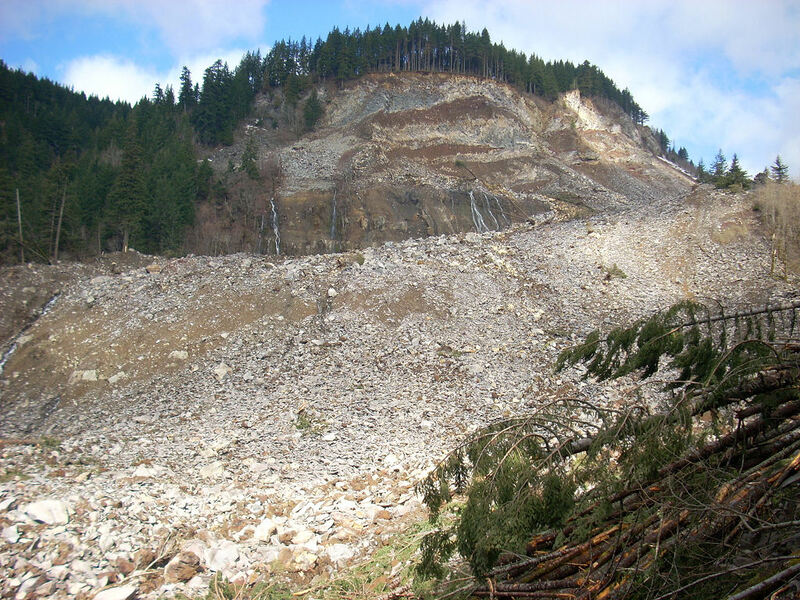 The Stevenson Landslide (also known as the Rock Creek or Piper Road Landslide) is also on a similar situation.